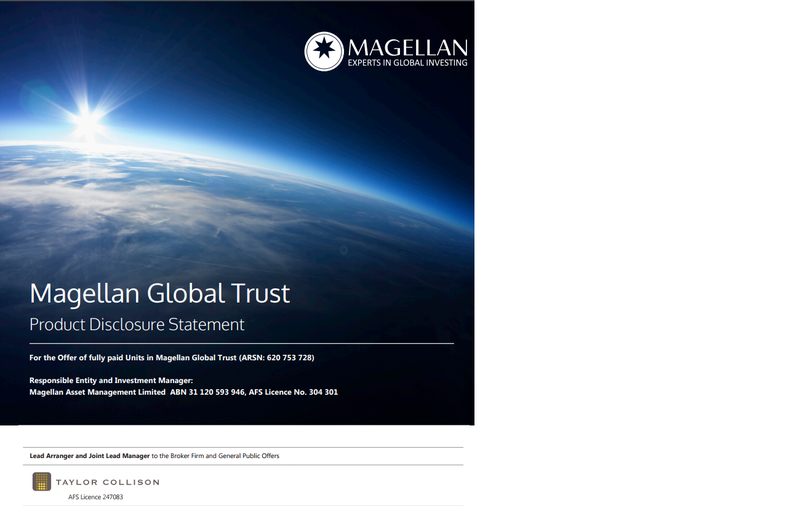 Taylor Collison is pleased to announce that we have been appointed Lead Arranger and Joint Lead Manager to the upcoming Magellan Global Trust Initial Public Offering. The offer opens on 29th August 2017. If you wish to review the PDS please click. Please contact your Taylor Collison Adviser for further information.